There’s a buzz around sparkling wine at the moment. Sparkling wine sales account for 11% of global wine sales and this market is growing by 4.5% annually. And it’s something that Canada has a talent for, with its cool climate wine regions. This seminar, moderated by Dr Janet Dorozynski, looked at Canadian sparkling wine. Of late there has been the beginnings of something special here in Canada. VQA sparkling wine is 3.2% of market share in Canada, which means there is room for growth. By value, domestic sparkling wine is 12% of sparkling wine sales. 1974 saw the first sparkling wine from Ontario which was made from Chardonnay and labelled ‘Champagne’. It was the late 1980s when there was greater commitment to sparkling wine, with Hillebrand and Chateau des Charmes producing their own fizz. Now there are at least 40 sparkling wine producers in British Columbia (but there may be as many as 75 if you count all those who have wine on lees but which is not yet released), and some 40+ in Ontario. There are 20 in Quebec making grape-based plus also fruit and cider fizz, and in Nova Scotia 10 producers make fizz (from 20 wineries). There are relatively few specialists though: in BC there’s Bella, and Ontario has Hinterland in Prince Edward County. A lot of progress has been made in Ontario with the ‘fizz club’ which Belinda Kemp set up at Brock University. This brings together sparkling winemakers for a forum to discuss technical issues. 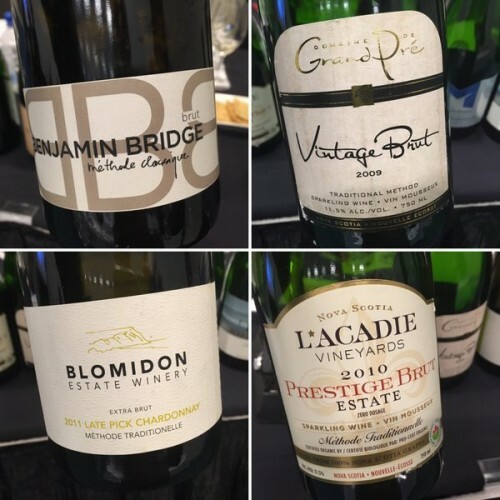 The latest buzz surrounds sparkling wine from Nova Scotia, which has a particularly cool climate that allows producers to make base wine with amazing acidity and yet also lovely flavour development. 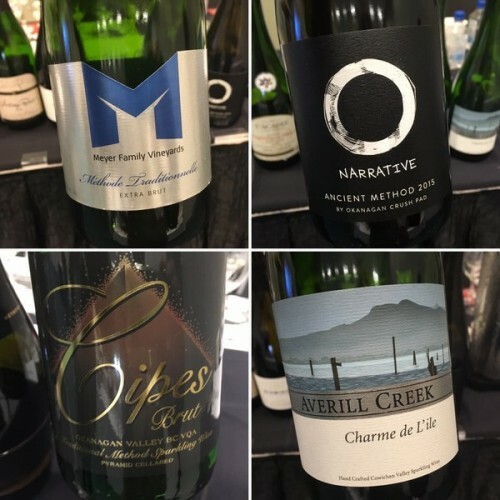 This selection of wines showed the breadth of the offering of Canadian fizz, with some real highlights. This is an interesting future direction for Canadian wine. Good selection. In my area of N Alberta, any reasonably priced fizz is up against Prosecco I am afraid to say. I know what you mean Bob, but that’s like saying “any reasonably priced Pinot Noir is up against the biggest-selling, cheapest branded red”. No, it’s worse: nine out of 10 committed Prosecco drinkers do not even like yeast-aged character so they would not buy it at half the price of Prosecco! I would like to try Benjamin Bridge Brut Reserve Nova Scotia, but I think is a bit pricey for me. Please, can you recommend me something similar but cheaper?